Laurie Here - Contemporary Fiction and MORE - Book Reviews: #ArmchairBEA - Thursday is #GIVEAWAY DAY! Come and ENTER! Linky link-up! #ArmchairBEA - Thursday is #GIVEAWAY DAY! Come and ENTER! Linky link-up! Welcome to the anticipated day of giveaways!! If you are hosting your own giveaway during the week of and in honor of Armchair BEA, this is the place to be! Who doesn't LOVE #Giveaways!!! Here is one giveaway I hope you'll love! It will allow you to be able to purchase MORE BOOKS! 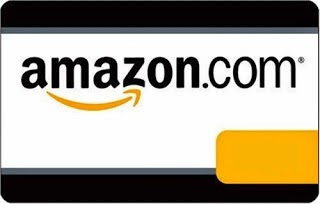 '1' $10 Amazon Gift Card! This Giveaway will run until Sunday, June 1st, 2014 until midnight here on my blog! SPREAD THE WORD! Now you want to go to HERE TO ENTER MORE #ARMCHAIRBEA GIVEAWAYS! I don't know how long the other blogs will have their giveaways for. Thanks for the giveaway :D I hope you're having a great ABEA!! Thanks for the giveaway! Happy Armchair BEA!